east side bride: Best things to do/see/eat in BUENOS AIRES? Since I am a newly married lady (who totally took advantage of BRIDE HULK* to vent by the way) and don't have any wedding-y related things to ask you, I figured I'd ask you about our upcoming belated honeymoon in Argentina. Everyone else seems to be asking you what should I see/do/eat in _____ city, so I'll just jump on the bandwagon if you don't mind. We are specifically going to Buenos Aires, then Iguazu Falls and then Mendoza, but since the last two are pretty self-explanatory (duh, waterfalls and wine) I'd like to ask you if you know the best things to do/see/eat in Buenos Aires, or if you would be willing to ask your readers (who are a wealth of info, obv.). Buenos Aires is by far my favorite city in the world. We've been twice—once in 2009 and once last month (a trip from which we came back engaged!!!). When we described our recent South America trip to people, their response was, "wow, that sounds like the trip of a lifetime!" It was, but it wasn't, because we know we'll be going back whenever time and finances allow it. Imagine a city with the cosmopolitan vibe of New York and the architectural beauty of Paris, but where the people are incredibly friendly and welcoming across the board and everything costs about half as much as it does in either of those places. I realize I'm providing you with about two weeks' worth of activities here. Hopefully a few of them appeal! First, if you haven't already, get some tango tunes by Carlos Gardel or Osvaldo Pugliese to listen to while you're getting psyched for your trip. If you love tango a little (or if you're not sure you love it yet), visit Caminito in La Boca (where you're sure to see people tangoing in the street) or take in a tango show. (Your hotel or travel agent can recommend a show. Be forewarned that the majority of the shows are VERY cheesy and touristy though.) If you love tango a lot, take a lesson and/or attend a milonga. Go shopping! The US Dollar is super-strong in Argentina right now, so it'll go a very long way. Visit Calle Murillo for anything and everything leather—shoes, belts, wallets, coats! From quite a few of the shops along Calle Murillo, you can get a leather jacket custom-made and delivered to your hotel in under 24 hours for $200-400 US, and you can have your pick of coats off the rack starting at much less than that. Typically you get a big discount for paying in cash and an even bigger discount if that cash is in US dollars. The two most famous malls, Galerias Pacifico and Abasto, are worth visiting just as architectural marvels, as is El Ateneo, an enormous bookstore built inside an old theater. I can't recommend this one enough: take a day trip to Colonia del Sacramento, Uruguay. It's about an hour away by ferry. Colonia's city center is full of beautiful little 16th-century buildings, cobblestone streets, and there are flowers everywhere. There's a lighthouse to climb that gives you an epic panorama of the town and the Rio de la Plata. I admit that I may be slightly biased because Colonia is where my boyfriend asked me to marry him, but trust me when I say that it's the kind of place that brings out that much romance in you. For lunch, get a bottle of Uruguayan tannat and some Colonia cheese at El Buen Suspiro. We also had an awesome time at the Lujan Zoo, which is a sort of extreme petting zoo where you get into the cage with the tigers, which I recognize is not to everyone's taste. The major sites, hittable on your own or with a city tour: the big obelisk on Av. 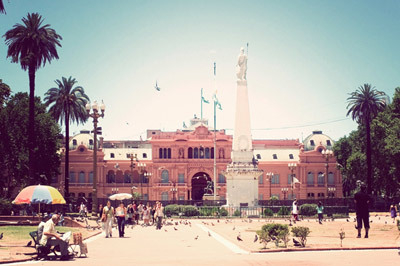 9 de Julio, Plaza de Mayo, Casa Rosada, Plaza de las Naciones Unidas (where the "Floralis Generica" sculpture is), Plaza San Martin, Puente de la Mujer. La Recoleta Cemetery, the mausoleum where Eva Peron and several other national heroes are buried, is worth a visit. I know, creepy, but the architecture and art there is phenomenal. On weekends there's a giant craft fair nearby where you can easily spend an entire day—great shopping, but also good food and awesome people-watching. Things we have heard are awesome but have not done: estancia tour, El Tigre, Japanese gardens. Steak steak steak, obvs. There's really no bad meal to be had in BA if a big chunk of grass-fed cow is involved. ("Jugoso" means "medium rare," and "muy jugoso" means "really rare.") La Cabrera, in Palermo, is a little touristy but the meal is epic and the service is wonderful. Make a reservation the night before you go. You can get less fancy, but no less super-tasty, grilled meats of all shapes and sizes at parilladas all over the city. Just find a spot with a big grill in the front window and you can't go wrong. When you hit your meat limit (or if you are just not a meat person), BA has amazing pasta. Nearly every steakhouse has a lengthy pasta menu in addition to their beef. You should be able to get empanadas almost anywhere, too, and they're equally delicious. Try to find choripan—an awesome sausage sandwich that you smother with chimichurri. You'll find choripan trucks or stands in most public parks or any big outdoor event, and a lot of lunch spots serve them as well. And don't skip dessert! Argentina has the best ice cream in the world—superior dairy products plus Italian gelato techniques combine for absolutely otherworldly helado. Un'Altra Volta, Cadore, Freddo, Munchi's, and Persicco are just a few heladerias we tried, but I can't imagine any of them being bad. Dulce de leche flavors will be everywhere and are amazeballs. Freddo has a particularly amazing flavor called "Dulce de Leche Tentación." Dulce de leche is in everything—porteños even put it on toast in the mornings. Alfajores are chocolate-dipped cookies that typically have dulce de leche filling, and they, too, are awesome. You can get them almost anywhere and the prepackaged ones make a great treat to bring back to friends or coworkers. Like you said, you're probably set for Mendoza, but I do have to give a shout-out to the Tempus Alba Winery. All of the wineries we visited—from enormous multi-vineyard operations to tiny family-owned farms—were phenomenal, but this one was my favorite in terms of friendly staff, tasty wine, and amazing scenery. You can buy bottles at the wineries themselves, and there's something undeniably cool about that, but Mendoza wines are also crazy-cheap at supermarkets in BA. We found delicious, surprisingly high-quality bottles for around $4-5 US, and that was kind of a middle-of-the-road price. *Founded by this rad bride. In Colonia, go to El Drugstore for lunch! But be warned that the menu is about eight pages long. I think it's right in the main square. You can't miss it. And in Buenos Aires, try to go to the bar Los Portenos in Recoleta for empanadas and beer. It's pretty close to the big cemetery. And the Japanese Gardens are great! I went in the winter and it was still beautiful. And the flea market in San Telmo is awesome. Man, now I want to go back to Buenos Aires! 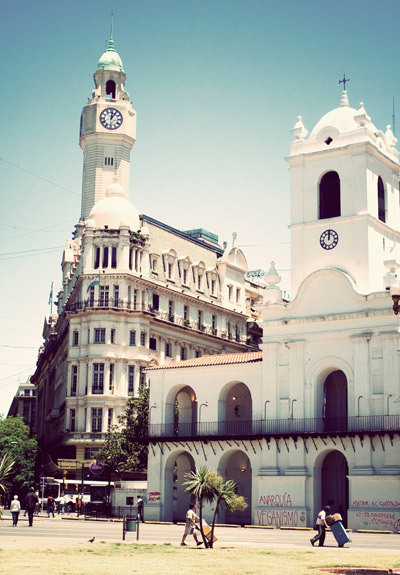 Design Sponge just posted this city guide on Buenos Aires, too. BA is the place to go, apparently. As for ice cream (all the chains are good but Volta is my favorite and there is one like every few blocks - usually I get one scoop of dulce de leche granizado and one of banana). Also Alfajores are amazing - you can get good ones at any "Havana" store and also there is a stall in San Telmo that has amazing ones (if you happen to run into it). Basically I would eat anything with Dulce de Leche. You will have a really good time walking around San Telmo and there's a really cool museum of old aqueducts there (I think called museo de acueducto). I also always go to Melba - it's actually not very big but it's a cool space and always has some great Argentine artist - last time it was a crazy crazy lady who made enormous sculptures out of maybe books? I forget. The cafe there is also fun because it's in a lovely courtyard and has delicious coffee. Also I always recommend another great day trip (I've never been to Colonia): El Tigre is really cool. Essentially there is a city built in the Tigre Delta where boat is the only way to get around - you can take a boat tour and it's wonderful to see all the houses in the little islands. If you go early enough, you should catch a boat taxi/bus instead of a tour, go to one of the little restaurants at one of the stops (let spontaneity be your guide), and come back. You can also catch a sunset cruise back to Puerto Madero (one of the cool new-ish hot spots where there are also purported to be great restaurants) from El Tigre. While in BA though I had a great time walking all around, eating alfajores, and a nice nap in the park with those cool trees in the picture above. I highly recommend all three activities. Hmmm... So I've lived in Buenos Aires for nearly 5 years, which probably semi-disqualifies me from providing tourist advice because after 5 years, I'm a wee bit bitter. So first up, La Boca is hell on earth. It's like a 4 block disneyland with people screaming in your face trying to get you to sit at their tables and pay a fortune for crappy beer and watch a subpar tango show. And to top it off, the 4 block disneyland is surrounded by a bona fide very dangerous ghetto. I know. Total fantasy destroyer but true. There's are really good dinner show at Esquina Romero Mansi if tango interests you. And it's in Boedo... a very authentic tango barrio. Second, my fav ice cream places after much hands on research are Saaverio (in San Telmo) and Helados Lado Bueno (I think the Belgrano one is the most tourist friendly in terms of location). Sambayon is a super popular flavor among the locals. I personally like maracuya (passion fruit I think). Recoleta cementery is one of my favorite places in the city. And my top tourist recommendation always is feria de mataderos. Best empanadas in the city. The bbq is delicious and it's perfect for more reasonably prized souvernoirs. It's off the beaten track (in mataderos... which is literally where the slaughterhouses are hence the name) but it's oh so worth it. They even have horses and gauchos and live music. Beyond that... explore the city walking but know where you are going always (true when taking cabs too.. they like to drive tourists around in circles. I once had a friend get driven around for 45 minutes when her destination was just 4 blocks away). And don't wander outside the typical tourist neighborhoods. Mostly because there's nothing to do out there and also because you can get yourself into trouble very very easily here. Oh and the pick pockets are feisty here and the dollar is strong here because of a very steep economic decline and that tends to mean that tourists need to be a lot more careful... So just be really really aware. And last check out couch surfers... even if you aren't looking for a place to stay. There are some super helpful locals there that love meeting up with foreigners and showing them around. My husband used to do it in his single days and he would literally pick strangers up from the airport and taxi them around to all the sights just for fun. 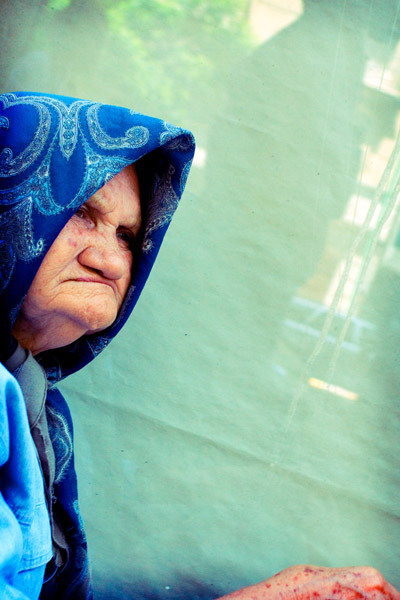 If you find the right people, Argentines can be incredibly welcoming. Oh oh oh and El Cachafaz are my fav alfajores and don't forget to drink lots and lots and lots of wine. The slightly more expensive stuff here compares to the absurdly expensive stuff in the states and is totally worth the splurge! One last thing and I'll go away..The subway trains from linea A are from 1913. That does not bode well for people trying to say arrive places on time and comfortably but they are really really really pretty. They've mixed in a few ugly modern trains (that don't work any better) but it's worth waiting for one of the 1913 cars to come along. Just stay away from rush hour. Far far away from it in fact. I'm sure that if I lived in BA I'd find La Boca as tiresome and touristy as you do, but as I've only ever been there on vacation and was advising someone going there on vacation, I thought I'd try to give OP a good overview. I realize it's about as authentic as Epcot, as I'm sure most people do, but it's got its own peculiar charm, especially for a first-timer. If I were giving advice on my own city to a first-time visitor with only a few days to spend, I'd probably tell them to see Top of the Rock and Central Park, even though I personally would probably prefer to go to the Cloisters. And I'd send 'em for pizza at Patsy's even though I usually get my own pizza from the place across the street from my apartment. You are totally right about the subways though - the old cars are gorgeous! I think I even had that in an early draft of this post! I've only been to BA twice and I would say don't spend more than an hour in La Boca, that's all you'd need. 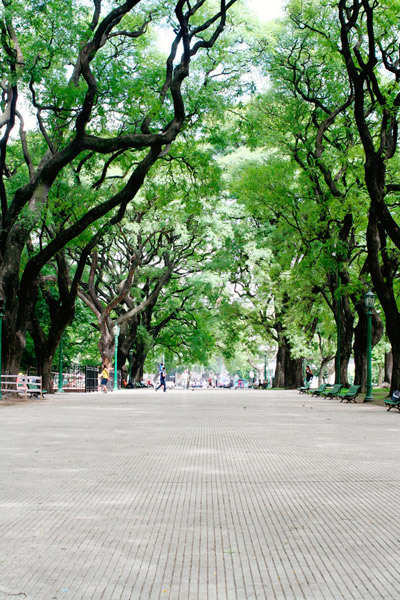 Buenos Aires is one of the coolest place on Earth, (I've been there twice!) and the people there are an awsome bunch. I second the deserts bit, forget the stake just eat sweets! And Iguassu Falls are one of the more beautiful sights EVER! You must do the boat ride! If you have a few hours to spare , cross the border and visit Itaipu Dam, it's HUGE! Original poster here (thanks, ESB!). Wow is all I have to say, oh, and THANK YOU. This is the best advice - can't wait to try it all or at least most of it. I lived there for four years, but it has been a couple years since I've been back. It's a beautiful city, and in addition to the above, I would definitely recommend wandering around Soho Viejo (great shopping) and Puerto Madero (more modern/trendy). I also love the often overlooked Palermo Chico. It's not very touristy, has some lovely cafes and some of the best architecture in the city. A lot of the old mansions that were built for the gentry are now Embassadors' residences. Be forewarned that some of the clothes are not of the highest quality (though the price will be great) and will probably start to come apart after a few wears. The being said, this doesn't apply to the more established brands and small boutiques. I agree with the above: Boca is just alright. The 4/5 streets worth seeing are crowded, hectic and a similar vibe can be found elsewhere. The main draws is the colorful houses, so it's for you to judge. Boca (as a neighborhood) is one of the poorest and most dangerous. Some other safety precautions that we always followed were to not wear anything overtly flashy or a lot of jewelry when walking around. Keep a small amount of cash handy and if someone tries to mug you, give them that. It's better to keep it in a pocket than in your purse. Mostly, just be aware. It's not a particularly dangerous city, but it definitely isn't Paris or New York. Remises are a sort of private car taxi. They are usually safe and cheap, but it's a good idea to know what direction/how long it should take you to get to your destination. Don't go to the Lujan zoo.... they drug the tigers and lions so that they will be docile and won't attack people. It's very depressing and seems like a bizarre institution to support for a quick facebook picture next to a lion. Do head over to the brazilian side whilst at Iguazu, the view is very different. And while there, if you or your husband, are looking to splurge, stop by H.Stern. It's a luxury jewelry brand that is stupid expensive in the states but substantially cheaper there. Oh and! If you have the opportunity to stay at an estancia in mendoza, you definitely should. Quite a bit homier than your average hotel. The only reason I didn't offer security tips in this post was because none were asked for. Honestly, though, we never felt unsafe in BA though. The same common sense we exercise in New York was sufficient. Thieves don't want to target anybody who looks like they know where they're going. We actually stayed in Palermo (albeit at the other end) and loved it so much. I want to live there! PALERMO! They have an excellent Mexican restaurant there! Maybe there is more than one, but the one I went to was perfect and small and the food was delicious. And the apartment we stayed in was also in Palermo and fantastic. And go to La Boca during the day for an hour or so. I bought the best denim skirt there three years ago and I wear it once a week. There are good people working there, besides all the touristy stuff. Yes, I was about to post about safety but been beaten to it. My husband is a Buenos Aires native, his family still lives there and when I hear from friends who've just got back from a holiday to BA, I'm always stunned by the difference in perception of the place. I hear stories of theft and worse all the time, so although it's just common sense in any big city, please be extra careful with belongings. Don't wear flashy jewellery, keep cameras small and hidden and when walking on the sidewalk keep your bag under the arm away from the roadside - this tip is from my husband, who says motorbikers love to drive past and grab them. Having said that, I love the crazy place, and can't wait to go back. Thank you for the tips on safety. My husband and I are urban dwellers and plan to use the proper precautions when in public, but the "don't wear flashy jewelry comment" piqued my interest. So, just out of curiosity, is it ok to wear my engagement ring? I've worn it traveling other places (like Mexico) and it was fine but now I'm beginning to wonder . . .
Based on my recent vacation experience, if you're an urban dweller you already know 95% of what you need to know. Just don't stray far off of the beaten path and try not to look like you don't know what you're doing. As long as your engagement ring is not an insanely huge rock and you don't call attention to it, I would guess you'll be fine. You'll also be with someone most of the time which makes you a less attractive target. I heard a lot of stories about crime before we left, but one thing to remember is that you don't hear a story if there's no story to tell, so there are a lot of people out there who went to BA and were perfectly fine (I'm one of them). I think if you OD on scary travel stories you end up just making yourself worry unnecessarily, which makes you appear uneasy and out-of-place once you get there, which makes you a better target. So keep yourself cool. Aware, but cool. That said, I did a couple of things that were more for my own peace of mind than anything else - one, I got a theft-proof day bag from TravelSmith that had steel cables in the strap and it never left my body (always wear bags across your body!) while we were out and around; and two, I studied the city map like I was going to be quizzed on it. I knew where all of the neighborhoods were relative to each other and all of the main arteries. I also got an iphone app with a static map on it (CityMaps2Go was the one I used) so I could consult it on the go if we needed to, and I frequently double-checked it when I had a safe place to do so. So we always knew where we were going and where to find safe and neutral spots (hotel lobbies, banks, shops) relative to that. If we weren't completely sure we could get where we were going safely, like if it was through an unfamiliar neighborhood or late at night/early in the morning, we'd take a radio taxi. Your hotel can call one for you, or you can hail them on the street. On the whole, I feel quite safe in Buenos Aires, even though I've been mugged once, and one of the reasons I do is that I don't leave the house with stuff that I wouldn't be okay with losing. Just trust your instincts and you'll be fine. Call a taxi after 10, don't speak loudly in english on an empty street, keep your bag slung to the front. But most importantly, don't let the fear spoil your trip. After 3 years here, Buenos Aires is still probably my favourite city in the world. As for the rest of the advice, I completely concur with Boca being way too touristy, Palermo being beautiful. Mondays are usually quiet, but one of the best things to do on a monday is go for for La Bomba del Tiempo, a percussion ensemble in Ciudad Cultural Konex. Explore the parks of Palermo on rollerblades or a bike - you can rent them by the hour outside the Rosedal. If you can read spanish, guiaoleo.com.ar is a very good yelp-ish website for restaurants. Recommend to hit up Prune in BA for amazing leather bags and shoes...all of the stuff is amazing quality and SO cheap. Also in Mendoza, we used the tour group Uncorking Argentina...to say they were amazing is an understatement. From the welcome gift to the snacks to the amazing experiences (hello, private bbq on a vineyard overlooking a lake and the mountains...I want to cry thinking about it!! ), they really are amazing. They even arranged a hike through the mountains which I TOTALLY recommend. There were horses everywhere and amazing views (this all coming from a staunchly non-hiker New Yorker). Really recommend them. One thing I WISH I knew before heading there was the ridiculously high entry fee that EVERYONE had to pay. I think at the time it was $125 USD per person. It completely threw off my trip budget!! Thanks, everyone, for your keen insight! My last question is whether or not it's ok/safe/normal to walk everywhere rather than take a taxi. For instance, we are staying downtown in Microcentro - is it possible to walk to San Telmo and Palermo and even La Boca (even though everyone says it's cheese we still want to at least observe)? Of course I mean that we would only walk long distances during the day. At night we'll be cabbing it all the way. Thanks! Don't walk to La Boca. The city is HUGE and spread out. From my (limited) experience, you'd be fine for two blocks and then feel super uncomfortable for two blocks. Cabs were actually pretty reasonable, but you can always feel it out. Walking around is fine within Palermo, Recoleta, Puerto Madero, and Centro - walking TO those neighborhoods might be a little much. We walked from our hotel in Palermo Hollywood pretty much all the way to Plaza de Mayo one afternoon. But we are New Yorkers and used to walking everywhere, and it was a lot of walking even for us. Also, it's probably going to be HOT while you're there and you may not end up wanting to hoof it everywhere. And definitely take a cab to La Boca and maybe even San Telmo, although I think San Telmo is pretty walkable from the Plaza de Mayo area and probably decently safe if it's a flea market day. I walked to La Boca, it was like 10:00am on a weekday,granted I walked from San Telmo. And back. But I walked directly, not wandering around or anything. No worries at all. Just watch your back, maybe get the subte between hoods, you'll have a blast. I've never been to Buenos Aires, but I did make it to Salvador once just in time for Carnival. One of the craziest weekends of my life.